The acronym A.C.F.I. stands for Accessoires pour les Chemins de Fer et l'Industrie. Those two (1 each side of chimney) barrels. and also on many French locomotives of any kind. The double pump. parts are hot and cold water pumps. 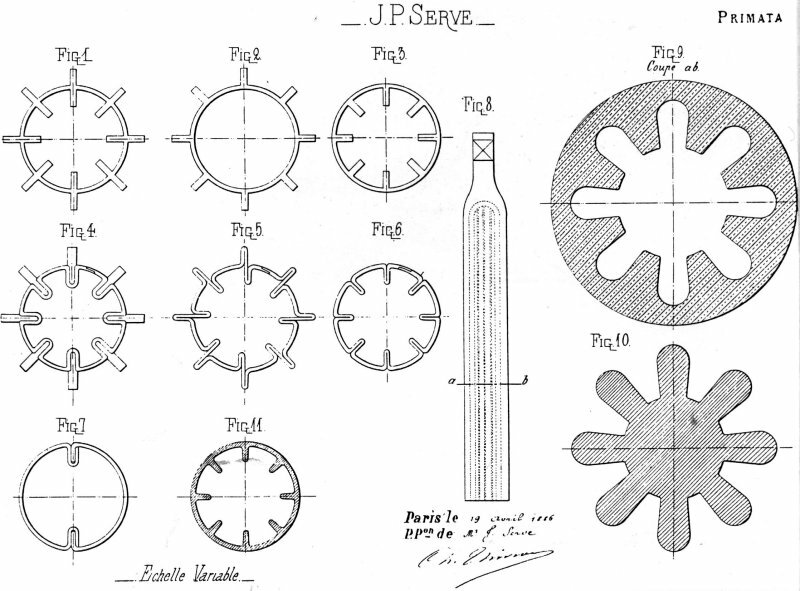 The principle used in those is heating of cold water by mix with exhaust steam(s). These are quite simple. The water level is kept constant in the two barrels by a classical float/three way valve combination. As usual, click on the drawing for a large version. English (?? I hope!) legend. 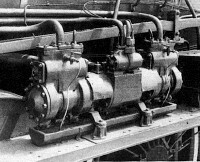 A: Oil drain (through a balanced piston preventing steam losses). B: Westinghouse & A.C.F.I. pumps exhaust steam input. D: To hot water part of the pump (to boiler). E: Cold water in, from cold water part of the pump, or from main injector. F: Cold water return (to pump). 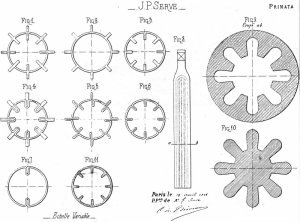 Page of drawings joined to Serve's patent showing the various arrangement thought of by Serve. copyright 1997, 98, 99, 2000 by T. Stora. All rights reserved. Reproduction, translation, total or partial on any media absolutely forbidden without preliminary permission and agreement.